According to the government, U.S. carbon dioxide emissions rose 3.9% last year as a result of harder-running factories and boosted air conditioning use due to hot temperatures during the summer. 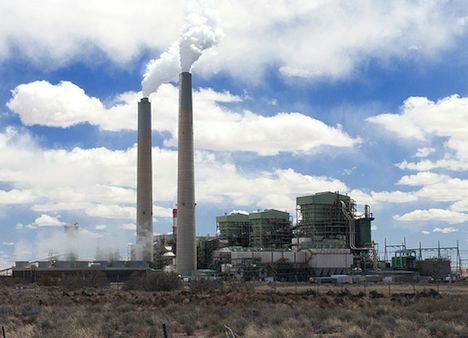 Emissions from the burning of coal, oil and natural gas, accounting for approximately 80% of U.S. greenhouse gas output, rose by 213 million tons, according to the Energy Information Administration. This was the largest increase since 1988, and the first rise since the recession pushed them down over the past two years. Progress has been made in the US as far as attempting to reduce emissions goes, as some power utilities and factories have switched to burning natural gas as opposed to coal, which releases considerably less carbon dioxide. The Obama administration has also passed new efficiency standards, which could cut down emissions from vehicles over the coming years. So why is there such an increase despite new standards and changes to natural gas? This is indicative of growth in the economy, however small, and the lack of it during 2009. Without a major energy policy put into place, the Obama administration’s goal of reducing emissions by 17% by 2020 will still be a huge challenge to take on. Without a strict policy put into place on how to achieve these numbers, it may not be possible at all.